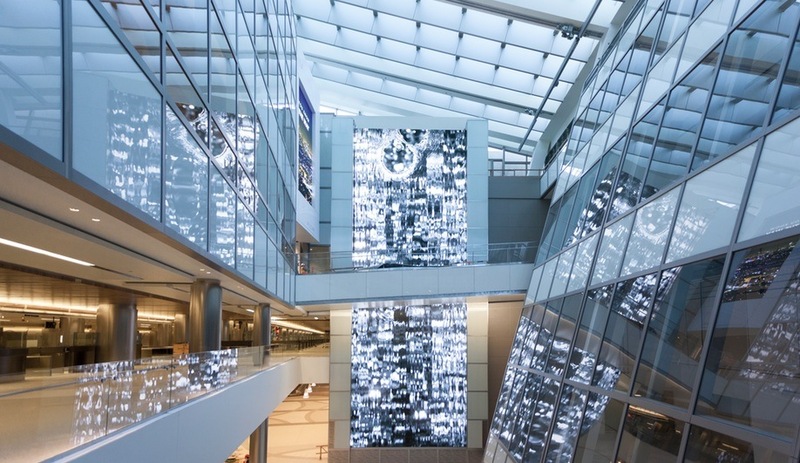 For the Tom Bradley International Terminal, the Montreal multimedia studio crafts a wildly interactive environment – the largest such permanent installation on the continent – saturated with moving images. 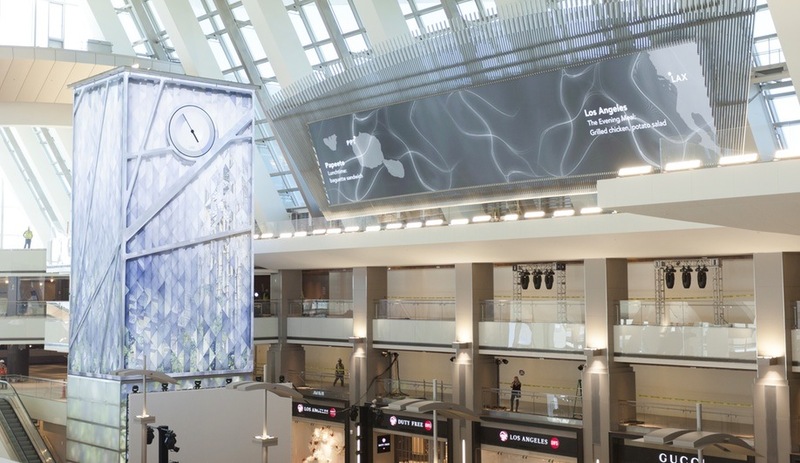 Early next month, Los Angeles International Airport will open the new Tom Bradley International Terminal – the first update to the airport since 1988 and the biggest public works project in the city’s history. Travellers entering the terminal, designed by Fentress Architects, will be wowed by sights from the golden age of Hollywood and tropical destinations, such as Brazil and South Africa. 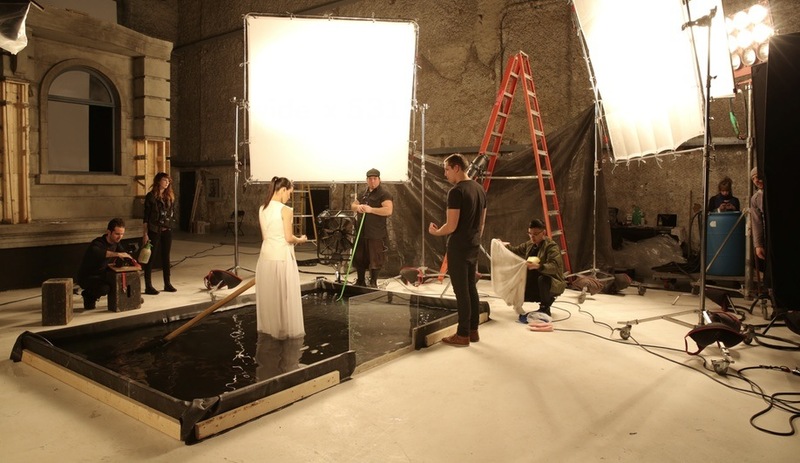 Moment Factory, which has designed stage shows for Madonna, Nine Inch Nails and Arcade Fire, is the multimedia studio behind the immersive environment. 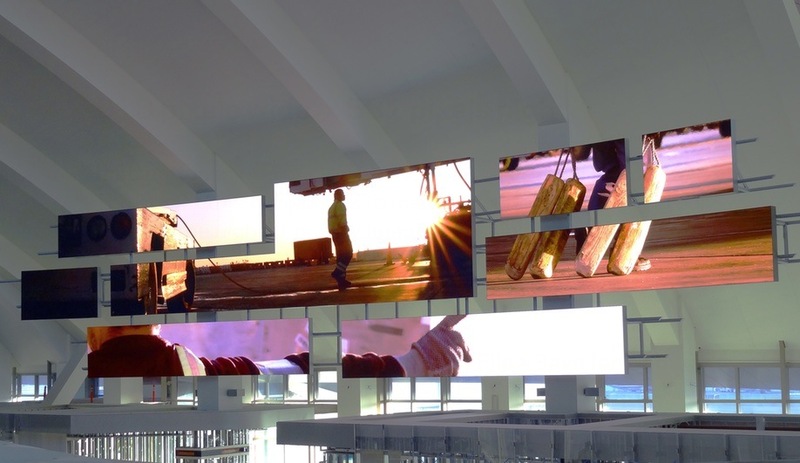 The Montreal outfit has erected massive video and audio installations in seven locations throughout the terminal. 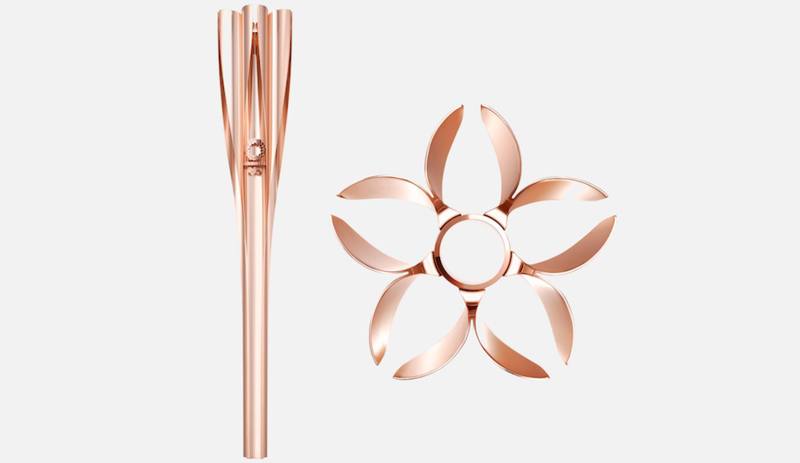 It collaborated with Marcela Sardi of Sardi Design and Mike Rubin of MRA International, who crafted the hardware for the installations, while Smart Monkeys Inc. and Electrosonic engineered and integrated the complex technological systems. 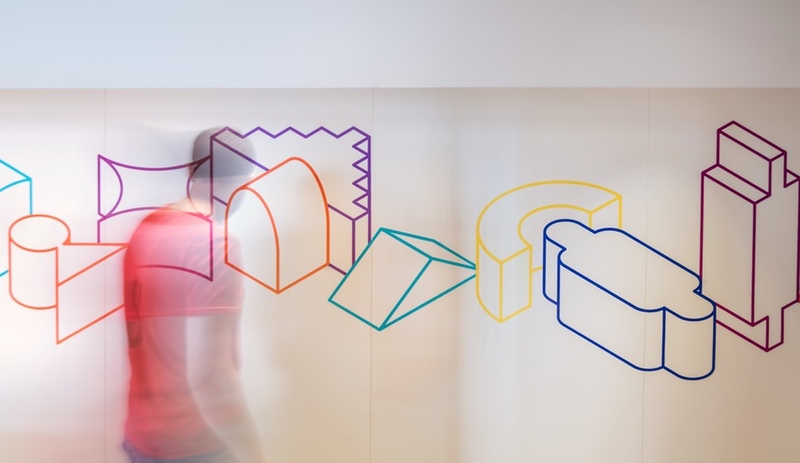 To create a four-hour loop of compelling original video content – so that even if you’re waiting for a long-haul flight you’ll likely not see the same visual sequence twice – Moment Factory spent more than 12 months shooting scenes on three continents with 300 people. 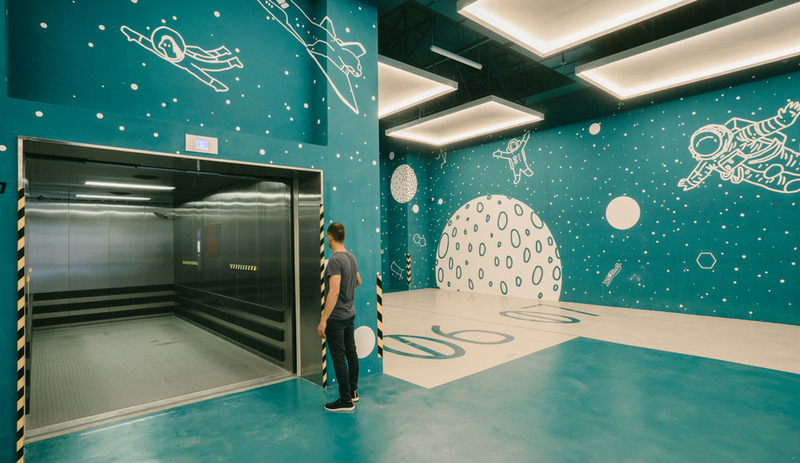 Up to 40 sequences, inspired by silent-era movies and complemented by images of distant skylines, beaches and tropical birds, fill the cavernous multi-storey space. More abstract textures, such as shimmering water and sleek futuristic surfaces, are projected onto animated backdrops. The main attraction, though, will be the Time Tower. 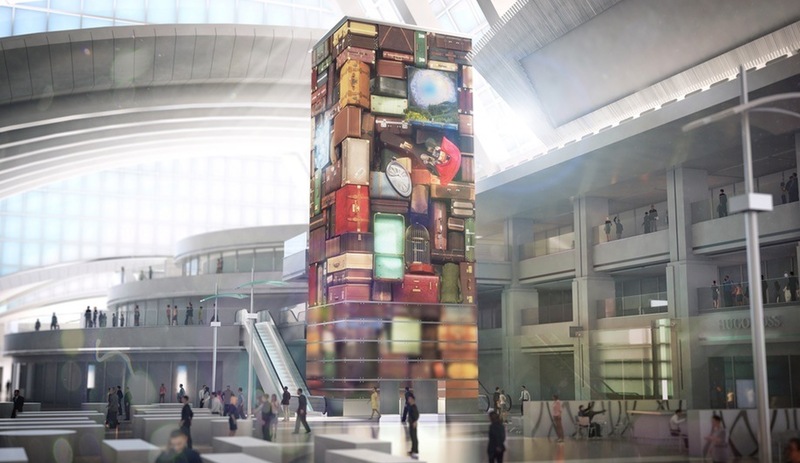 Inspired by the grand clock towers in European railroad stations, it rises near the main elevators and is clad with LED screens on all four sides. A functional clock that faces each direction appears to open – a trompe l’oeil feature – at the top of every hour and reveal dancers operating the machinations inside. The tower’s base is also equipped with 26 capsules that respond to touch. Travellers’ hands trigger real-time flight information, and send it cascading across the 602-square-metre surface of the tower. 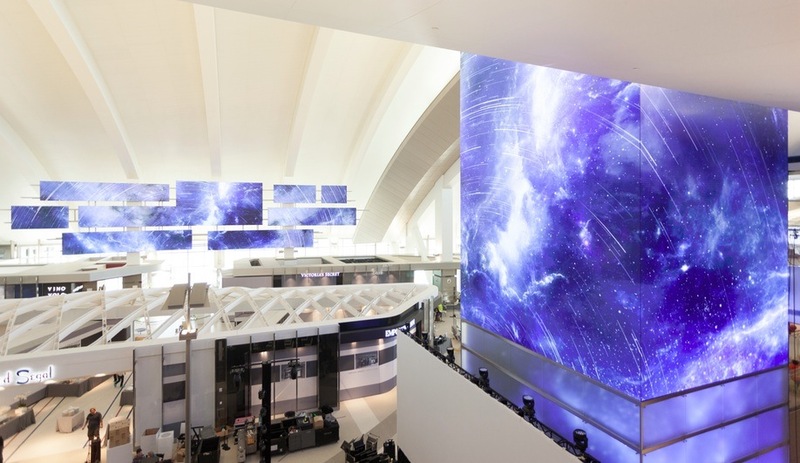 In the shopping concourse, an array of eight differently sized monitors function as individual canvases or in a single screen format. And along the north and south concourses leading to and from the terminal, 10 video columns project images of watery reflections, totem poles and stringed instruments, accompanied by gentle audio cues designed to inject romance and magic into the travel portion of a trip. 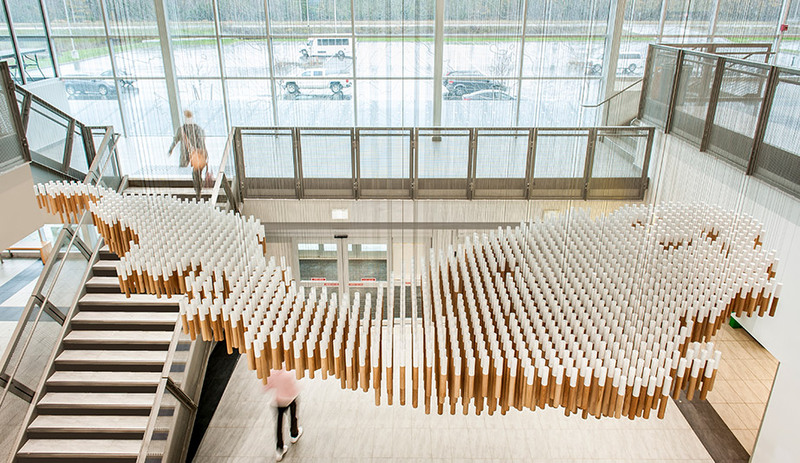 At 14,000 square metres, the buzzing new terminal is a massive space to navigate. 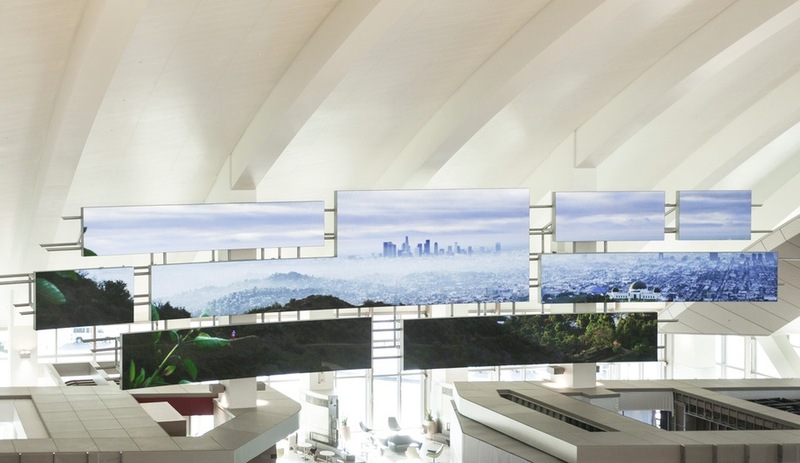 Moment Factory’s multimedia installation, with images seemingly torn from a glossy travel magazine, will fill it with exciting vistas that will capture travellers’ attentions for years to come.